When it comes to burning calories and losing weight our ladies only fitness classes are some of the best you’ll find locally. Perfect for losing weight and working on muscle tone – our classes offer a unique way to get in great shape and build an all-round leaner and more attractive body. Need proof? How about 600+ calories per hour! 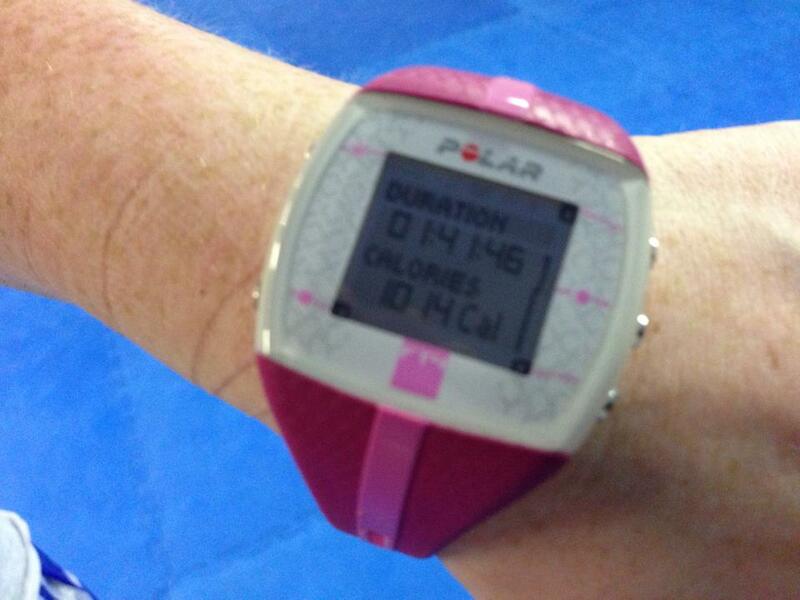 One of our members, Claire, decided to wear her Polar Watch to measure how many calories she burned while training. During our Ladies Only Muay Thai Class Claire burned a total of 1014 calories! Who are our Ladies Classes for? We not a ‘big box’ highly commercial gym and we pride ourselves on keeping our family run gym and community. A friendly place where we know your name and you’re pushed and motivated to work hard and get results. Classes are open to all levels, ages and abilities – so if you’ve never done a days training, that’s not a problem. Just come along and get started! All we ask is that you work your hardest, to your level and enjoy your training! Whether you’re a busy mum or a full-time professional in the city, our doors are open to anyone ready to train hard, work up a sweat and make the most of our lessons. Our professional team of instructors will push you when you need to be pushed, encourage you when you need to be encouraged and are always on hand to offer any help or advice. We have three types of ladies only classes as well as personal training sessions. Our Kombat Fitness classes are a unique blend of the best of mixed martial arts training in a 100% safe, non-contact environment. You’ll punch and kick your way as well as exercises used by fighters in the competitive world to get you in the best shape of your life. It’s a fun way and varied way to get fit and have a laugh at the same time. Our Women’s Muay Thai Kickboxing Classes teach Thaiboxing, one of the most effective striking martial arts in the world. You’ll hit punch pads, kick bags and practise techniques with a partner. If you like the idea of learning a skill and self-defence skills while you get super-fit, then this is the best class for you. Our Ladies Circuit training class is a popular and intense one-hour blast that works your entire body. You’ll push, pull, lift, carry, press and work through a variety of cardio-exercises to burn calories, strengthen, shape and tone your body. If you can only make one class a week, this is a must-make session. Or try our NEW Lunch Time Fitness – open to men and women, these short, sharp and intense sessions are short enough to fit into a lunch hour and intense enough to burn a lot of calories. To find out more call us today on 01293 552 511 or enter your name and telephone number in the box on this page. We’ll give you a call, answer any questions you have and let you know about our starter special offers.